Plus1 welcomes the return of US indie rock legends Dinosaur Jr for one show at The Studio, Auckland on 23 January 2017. 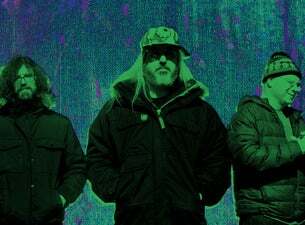 Touring off the back of superb new album, Give A Glimpse of What Yer Not, the original trio of J Mascis, Lou Barlow and Murph bring out the classics from a catalogue spanning 11 albums. Their 2013 NZ show sold out. Don’t miss Dinosaur Jr in 2017. The show is proudly presented by Plus1, Radio Hauraki and Undertheradar. “No other band plays super-loud fuzzy guitar rock like Dinosaur Jr. Early on bassist Lou Barlow told the crowd that this was the group’s first show in six months. It didn’t matter one bit. “You get the sense that you could wake Mascis, Barlow and Murph out of a one-year slumber, give them some equipment and a shitload of amps and they’d bang out the perfect rock show.” – Live Review, Music Hall Williamsburg.